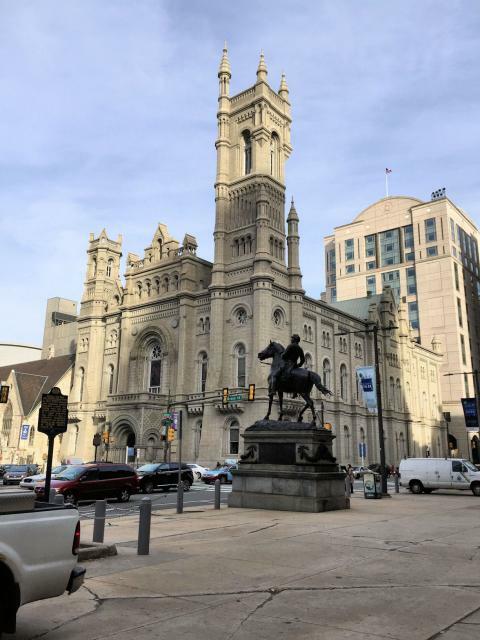 The 1873 Masonic Temple, a National Historic Landmark, is home to the Grand Lodge of Pa. Its lodge rooms, featuring varied architectural themes, and its stonework are widely acclaimed. 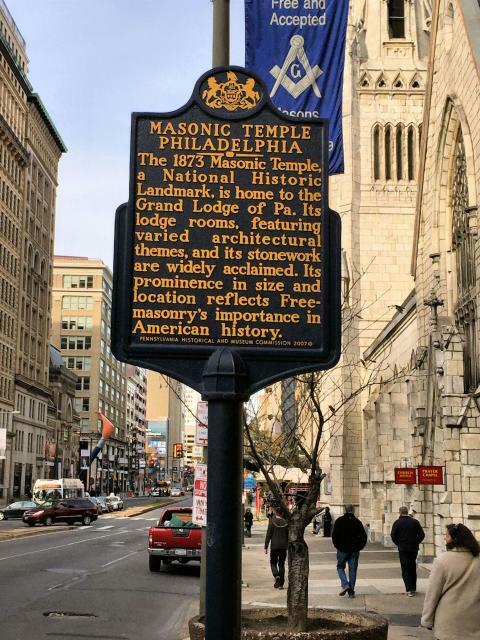 Its prominence in size and location reflects Free-masonry's importance in American history. This marker can also be identified by its HM code. You can use the hashtag #HM1KCU in tweets, and any other place where you might refer to this marker, including when searching on this site.